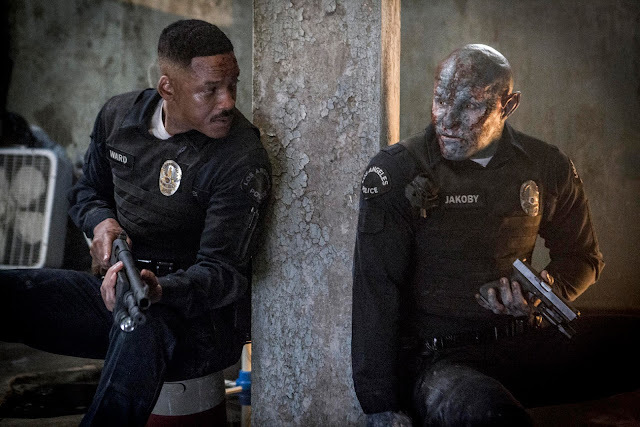 The Netflix original film stars Will Smith, Joel Edgerton, Noomi Rapace, Lucy Fry, Edgar Ramirez, Ike Barinholtz, Enrique Murciano, Jay Hernandez, Andrea Navedo, Veronica Ngo, Alex Meraz, Margaret Cho, Brad William Henke, Dawn Olivieri, and Kenneth Choi. The film is directed by David Ayer and written by Max Landis. David Ayer, Eric Newman, and Bryan Unkeless serve as producers. The Netflix original film will be released on Netflix on December 22, 2017.